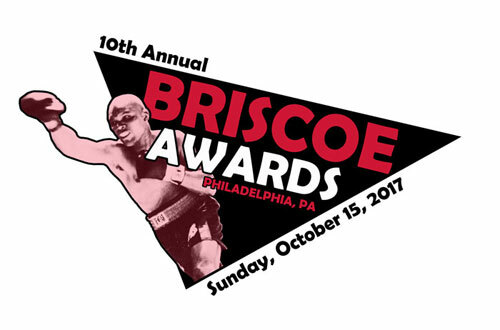 The 10th Annual Briscoe Awards will be presented tomorrow, Sunday, October 15, 2017, at Xfinity Live! Philadelphia, beginning at 1:00 PM. The event is typically attended by local boxers – past and present, other boxing people, and sports fans. Expected to attend this year are the award winners, Jason Sosa, Jesse Hart, Tevin Farmer, Bernard Hopkins, Damon Allen Jr., Jaron Ennis, Christian Carto, Tyrone Brunson, Dylan Price, and Taneal Goyco.